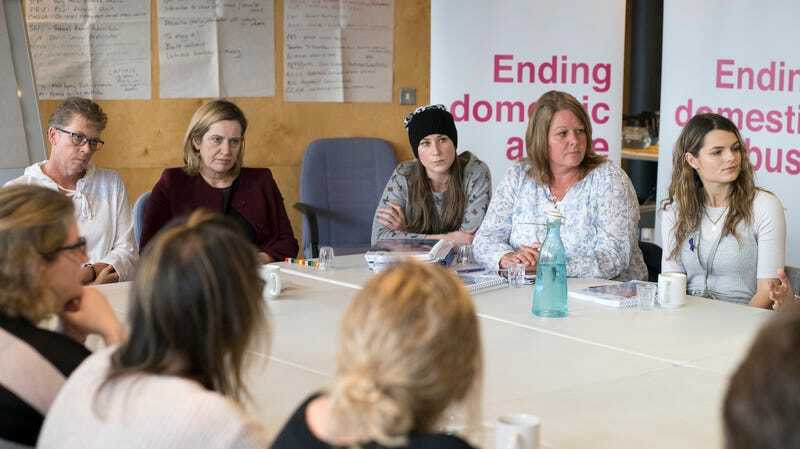 While the Trump administration is stripping away the rights of victims of domestic violence, politicians in the United Kingdom are seeking ways to expand protections for victims. Months after the Department of Justice dangerously oversimplified its definition of domestic violence to mean physical violence, language in a new draft domestic violence bill in the U.K. recognizes that domestic violence has “psychological, physical, sexual, economic and emotional” components. After seeking input from the public, in late January, the Home Office and Ministry of Justice published a draft domestic abuse bill that seeks to help people in Beattie’s position. “Economic abuse goes beyond financial abuse and can involve behaviours that control a person’s ability to acquire, use and maintain economic resources. This may include money, food, transport and housing – for example, restricting the use of a car or ruining credit ratings,” the draft reads. In addition to expanding the definition of domestic violence to include economic abuse, the bill would establish a “domestic abuse commissioner” to oversee public assistance for victims of domestic violence, would offer survivors automatic protection throughout a criminal trial against their abuser, require domestic abusers into rehabilitation programs, in addition to other provisions.